Webuzo DokuWiki Stack is pre-bundled with all the dependencies and requirements like Apache, MySQL, PHP, etc. DokuWiki is a standards compliant, simple to use Wiki, mainly aimed at creating documentation of any kind. It is targeted at developer teams, workgroups and small companies. It has a simple but powerful syntax which makes sure the datafiles remain readable outside the Wiki and eases the creation of structured texts. All data is stored in plain text files, no database is required. DokuWiki has many features, and many more can be added through free plugin downloads. 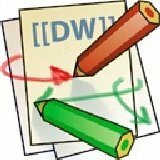 The DokuWiki engine is licensed under GNU General Public License Version 2.